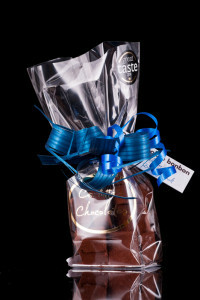 We currently sell three remarkable bonbons. Our dark chocolate bonbon won a Great Taste Award in 2013. It’s a big deal and recognition that this is an exceptional product. 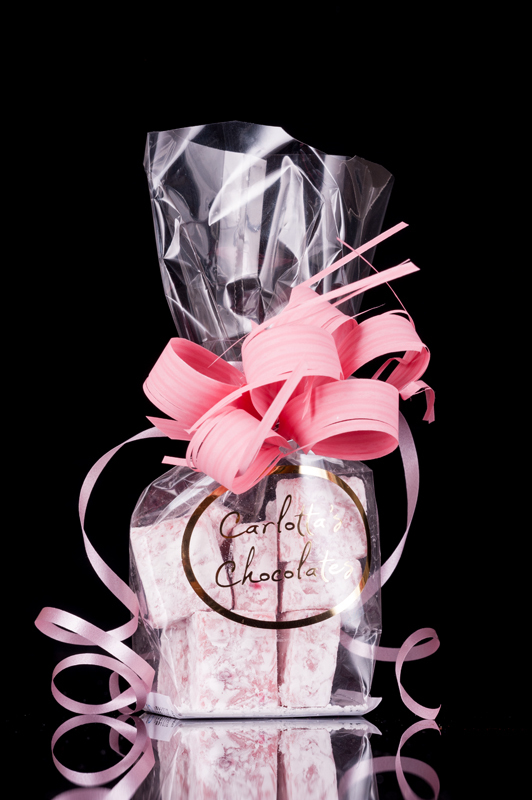 It’s hard to describe the bonbon because you won’t have tasted anything quite like it before. It’s exceptionally smooth in the mouth and its sweetness is flattened by the dusting of cocoa powder and blend of milk and dark chocolate. And the taste keeps coming. Beyond that, we can’t give anything else away. Except that they go especially well with coffee. Try some: the judges weren’t disappointed and you won’t be either. A dark chocolate bonbon dusted in cocoa powder. 90g, bagged. 64% and 32.9% cocoa. Keep refrigerated but serve at room temperature. In packs of 2 bags. Building upon the success of our dark chocolate bonbon, Charlotte worked with Kilchoman distillery on Islay to develop (unsurprisingly) the Kilchoman whisky bonbon, using their Machir Bay single malt. This too was awarded a Great Taste Award, in 2014, and was considered the “most successful” whisky chocolate by one of the judges. 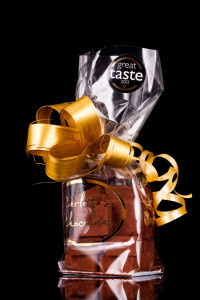 Whisky officinados appreciate the respect the chocolate pays to the malt while chocolate lovers are surprised how its flavour is enhanced. A dark chocolate bonbon dusted in cocoa powder with single malt whisky. 90g, bagged. 65% and 33.6% cocoa. 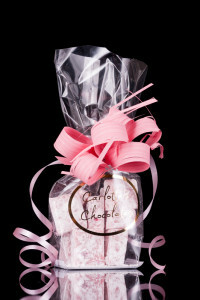 “Addictive” is the adjective most commonly applied to our strawberry chocolate bonbon. Sweeter than the other two, it shares their exquisite smoothness only this time that is punctuated by the sharpness of freeze dried raspberry pieces. It’s dusted in cornflower which provides a contrasting texture in the mouth. I could go on but you’ll just have to try some. A strawberry chocolate bonbon with freeze-dried raspberries, dusted in cornflower. 90g, bagged. 31.1% cocoa.